One of my favourite movies’ director is Tim Burton and I love the idea that in his movies sometimes appear a treehouse. 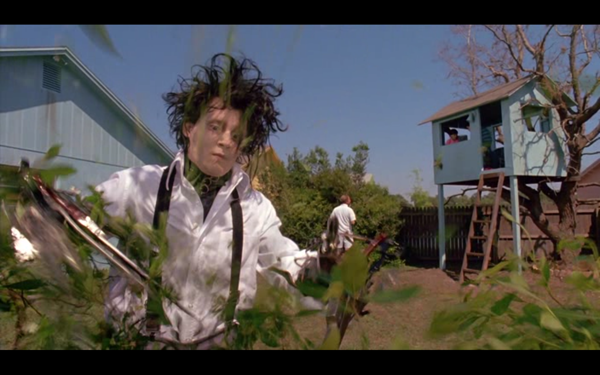 In one of his most famous and creative work “Edward Scissorhands” there’s a little and simple treehouse that evokes the real house where the characters live. 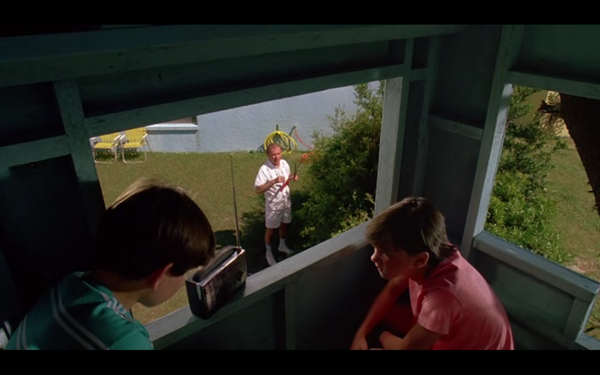 It’s a simple light blue treehouse where the children stay to play or like in the movie to listen at the radio meanwhile the father and Edward are working in the garden.